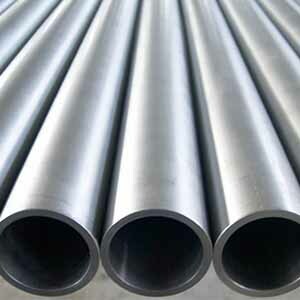 Welded Nickel Seamless Pipe, Nickel-Cobalt Alloys Pipes, Nickel Alloy Pipes Dealer in Mumbai, India. 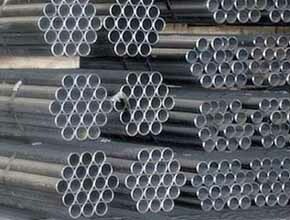 Nickel Hexagonal Pipe, Nickel Pipe, Nickel Welded Pipe, Suppliers of ASTM B161 Nickel Seamless Pipes, Nickel Alloy Pipes Exporter, Nickel Alloy Pipe Supplier in India. 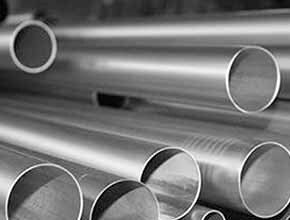 Over the period of time, Ganpat Industrial Corporation has emerged as a prominent manufacturer, supplier and trader of Nickel Alloy Pipes in a wide array. 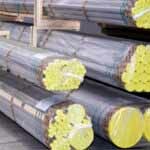 We also offer these products in different grades such as Nickel 200 Pipes & Nickel 201 Pipes. These Nickel Seamless Pipes are being manufactured keeping in mind the variegated requirements of our esteemed customers. 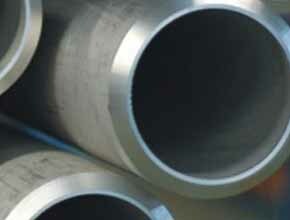 To rule out every possibility of defect, we inspect these Nickel Welded Pipes on certain parameters of quality. Nickel EFW Pipes also has some excellent features to offer such as lightweight, tough construction, dimensionally accurate, and more. Meanwhile, highly experienced and trained professionals are hired by us to manufacture the offered range of these Nickel ERW Pipes. 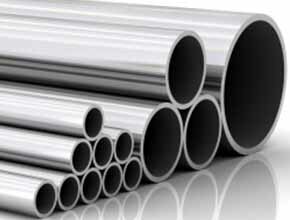 Meanwhile, these Nickel Round Pipes are also being offered in different sizes and shapes to our customers. Nickel 201 Square Pipes is preferred to Nickel 200 Square Pipes above 600 Degree F (315 Degree C), because of its better resistance to “creep.” Nickel 201 Rectangular Pipes is similar to Nickel 200 Rectangular Pipes and is a low carbon modification of the latter. These Nickel 201 Electropolish Pipes is a low carbon modification of Nickel 200 Pipes that has found applications in the electronic industry at temperatures up to 1200 Degree F (649 Degree C). Nickel Hexagonal Pipes is approved for service up to 1230 Degree F. These Nickel Hallow Pipes can be easily welded and processed by standard shop fabrication practices. 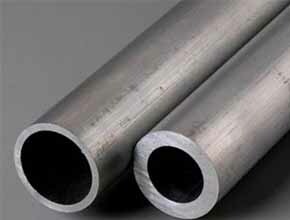 Nickel Seamless Pipe, Nickel Bush Hex Pipe, ASME SB622 Nickel Alloy Welded Pipes, Nickel Seamless Pipe, Nickel Hallow Pipe, Nickel Pipes, Nickel Pipes, Nickel Welded Pipe Manufacturer in India. 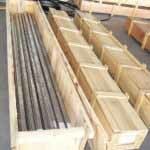 Nickel Seamless Pipe may be furnished bare or coated and with capped ends. pipes up to 3” OD will be supplied in bundles. 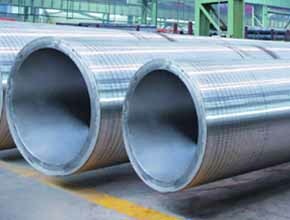 In order to prevent rust during sea shipment, bundles of Nickel Seamless Pipe may be wrapped with polypropylene sheets, and secured with flat steel bands. Over 3” OD will be supplied loose. Ludhiana, Al Khobar, Hanoi, Mumbai, Nagpur, London, Kolkata, Dammam, Ahmedabad, Toronto, Istanbul, Ankara, Mexico City, Port-of-Spain, Brisbane, Kuala Lumpur, Hyderabad, Algiers, Vung Tau, Baroda, Gimhae-si, Doha, Houston, Howrah, Tehran, Milan, Ahvaz, Jamshedpur, Courbevoie, Geoje-si, Manama, Moscow, Ulsan, Perth, Navi Mumbai, Pune, Melbourne, Caracas, Chandigarh, Bangkok, Dubai, Santiago, Vadodara, Thiruvananthapuram, Jakarta, Muscat, Faridabad, Singapore, Haryana, Jeddah, Busan, Sydney, Nashik, Ho Chi Minh City, Calgary, Chiyoda, Gurgaon, Madrid, Ernakulam, Atyrau, Jaipur, Dallas, New York, Secunderabad, Bogota, Lagos, Cairo, Indore, Bengaluru, Pimpri-Chinchwad, Kanpur, Rio de Janeiro, Hong Kong, Lahore, Kuwait City, La Victoria, Edmonton, Aberdeen, Karachi, Sharjah, Thane, Noida, Granada, Riyadh, Abu Dhabi, Petaling Jaya, Visakhapatnam, Rajkot, Ranchi, Los Angeles, Bhopal, New Delhi, Surat, Chennai, Colombo, Coimbatore, Seoul, Montreal, Al Jubail. Serbia, Nigeria, Chile, Russia, Spain, Chile, Algeria, Nigeria, Macau, Portugal, Namibia, Norway, Iran, Azerbaijan, Netherlands, Italy, Croatia, Zimbabwe, Switzerland, Malaysia, Finland, Lebanon, Morocco, Turkey, Ecuador, Argentina, Mexico, Japan, Philippines, Czech Republic, Gabon, Nepal, South Africa, Sri Lanka, Australia, Bolivia, Saudi Arabia, Hong Kong, Pakistan, Estonia, Indonesia, New Zealand, Austria, Yemen, Slovakia, Peru, Costa Rica, Ireland, Poland, Hungary, Romania, United Arab Emirates, Germany, Colombia, Denmark, Kazakhstan, India, Bangladesh, Tibet, Lithuania, Angola, Brazil, United Kingdom, Venezuela, Ukraine, Afghanistan, Belarus, Bhutan, Gambia, United States, Qatar, Sweden, France, Taiwan, Kenya, Vietnam, Belgium, China, Israel, Egypt, Greece, Kuwait, South Korea, Jordan, Puerto Rico, Iran, Singapore, Bahrain, Ghana, Bulgaria, Poland, Thailand, Mongolia, Oman, Trinidad & Tobago,Tunisia, Libya, Iraq, Canada, Mexico.